We'd love to learn more about your company and see if you're a good fit for our Virtual CFO services. Submit your information on the right to request a free, 30-minute consultation with Summit CPA owners Jody Grunden or Adam Hale. Chat with us about your company's financial health, growth plans and anything else you think would help us to better understand what you're looking for. Learn more about what hiring a Virtual CFO means, how we typically work with clients, and what services we can help you with. Get specific action steps to improve your company's financial health. 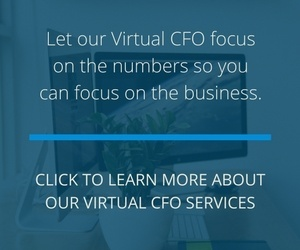 How much do Virtual CFO services cost? Does it matter if my company isn't based in Indiana? Are you Indianapolis Colts fans? Fill out the information to the right, or if you're available right now, give us a call at (866) 497-9761.